On first glance, the many benefits of artificial grass might not become apparent. But, when you actually look a little deeper and examine the reality of how easy artificial grass is to live with, you start to wonder why the benefits aren't better known. It has many benefits which, to many people, make it much more appealing compared to conventional turf. 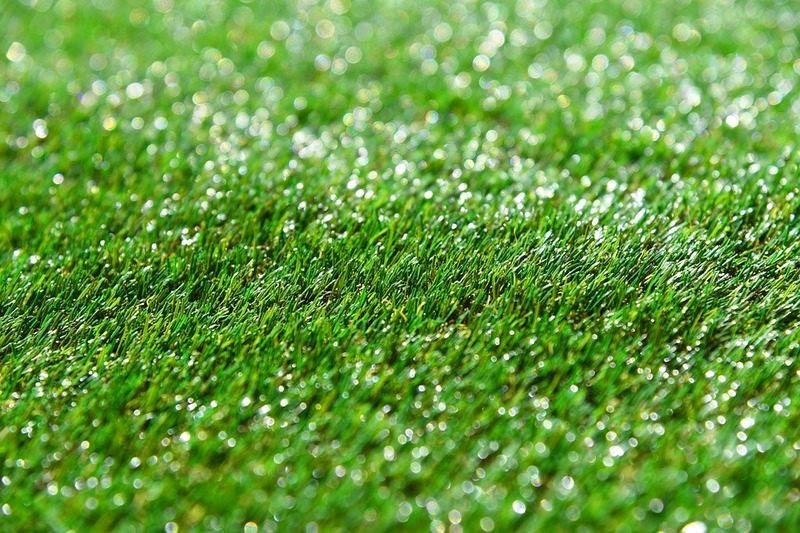 The list of benefits that artificial grass boasts are considerable. Here are just a few to give you an idea. Low maintenance - forget about cutting every few months in the searing heat and dealing with it after heavy rains, artificial grass looks good all year round. Pet-friendly - as it's comfortable to walk and lie on, artificial grass makes the perfect choice for homes with pets. It's also easy to keep clean from pet "mess". Child-friendly - there's no need to worry about finding thorns and sticks and all sorts of other unpleasant nasties lurking in the grass when the children are playing. UV resistant - keeping a lawn looking its best through a hot summer is easy with artificial grass, because it won't fade or become brown and crispy like regular grass. Versatile - artificial grass can be laid in any area of the garden you please, whether it's just a few specific patches or as a replacement for your whole lawn. Hard wearing - artificial grass is designed to stand up the rigours of consistent use, which means family BBQs, dogs playing, children running around etc is no issue. These are just some of the reasons many people choose artificial grass over more conventional natural lawns. Many of the benefits artificial grass offer boil down to one thing - it makes your life so much easier. Forget digging the lawnmower out of the shed and wrestling with it all afternoon. You can keep an artificial lawn looking splendid with a stiff brush and a leaf blower. With artificial grass technology increasing to the point that the fibres are both soft and hard wearing, investing in a natural looking artificial lawn has never been more of a no-brainer. New Lawn Artificial Grass Ltd offer free samples if you’re looking for supply only or supply and installation for your garden at home. we have artificial grass out back - I wasn't keen on it at first but like you say it is so much easier to maintain! we actually vaccuum up needles etc. though I do worry about what happens if you replace/remove it as they are plastic. can they be recycled?